At the same time, most corporations are recognising the productivity benefits that can be gained by giving their mobile workforce ‘anytime, anywhere’ access to more of the business’s corporate systems and data. Furthermore, as businesses and employees embrace Bring Your Own Device (BYOD) initiatives – where employees use their own mobile devices to perform work tasks – the security risks are significantly increased, so the need for effective mobile security technologies is greater than ever. 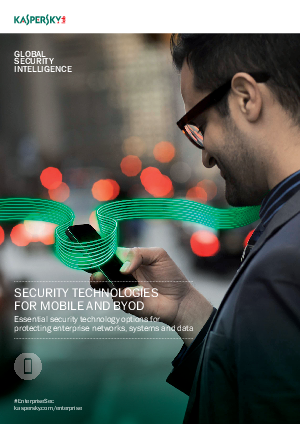 Download this whitepaper to reveal the essential security technologies options for protecting enterprise networks, system and data.